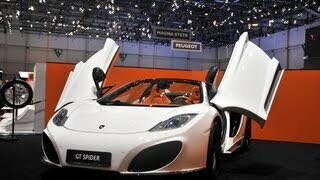 German tuner Gemballa will be making the world debut of the Gemballa GT package for the 12C Spider at the 2013 Geneva Motor Show next month. 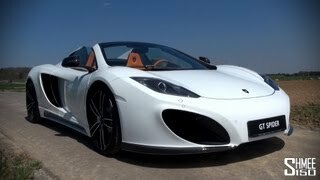 Based on the McLaren 12C Spider, the Gemballa GT Spider features a carbon-fibre Aero Kit, interior re-trim in the finest leathers and the brand new GForged-one lightweight alloy wheels. The GForged-one wheels come in "Black Magic" or "Gunmetal", with the option of a gloss turned "diamond cut" finish for their spokes. Gemballa is world renowned for the design and quality of its bespoke interior trim, and the cabin of the GT Spider show car is swathed in eye-catching orange and black leather. The customizatio package will go on sale later this year and pricing starts at €47,166 ($62,225).